Last week it emerged that a new draft regulation on the Indonesian Sustainable Palm Oil (ISPO) certification scheme has been produced by the Government. In 2016, the Indonesian Government announced it would strengthen the ISPO scheme, given increasing global demand for sustainable, deforestation-free palm oil. Following an initially participative process, it had been hoped that reforming the ISPO would result in enhanced legality, environmental protection and human rights. 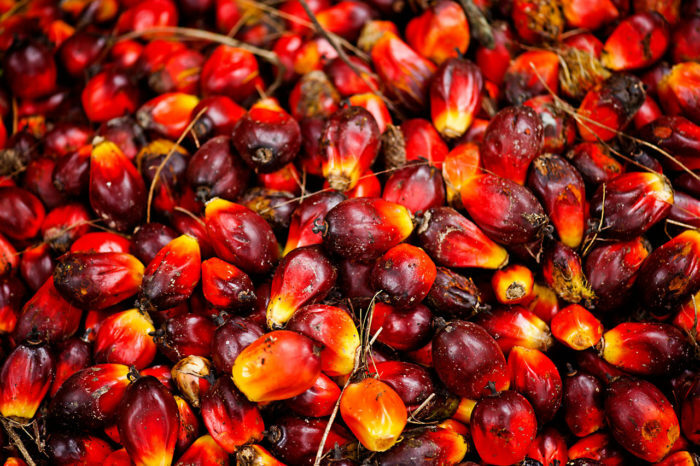 However, the new draft ignores multi-stakeholder input and raises questions as to the Government’s resolve to make palm oil more sustainable. There is an increasing market demand for sustainable palm oil that prevents deforestation, protects biodiversity and ensures the rights of communities. More and more companies globally, from manufacturers to major retail brands, have adopted their own no-deforestation policies – 73 per cent of companies had commitments to reduce deforestation in 2017. In addition, more than 50 governments have signed the New York Declaration on Forests to halve natural forest loss by 2020 and end it by 2030. Multiple countries in Europe have their own national commitments to source only certified sustainable palm oil, such as the UK and Norway. In response to such market demands, the Roundtable on Sustainable Palm Oil (RSPO) is also currently working to improve its certification standards, the Principles and Criteria. This includes developing new no-deforestation requirements within the standard. The ISPO has been criticised for inadequate environmental protection, neglect of human rights, weak law enforcement and poor governance. It has suffered from low uptake due to globally low perception of it as a credible certification scheme. Only 1.9 million hectares (16.7 per cent) of palm oil plantations in Indonesia are certified, even though ISPO has been implemented since 2011 and mandatory since 2014. 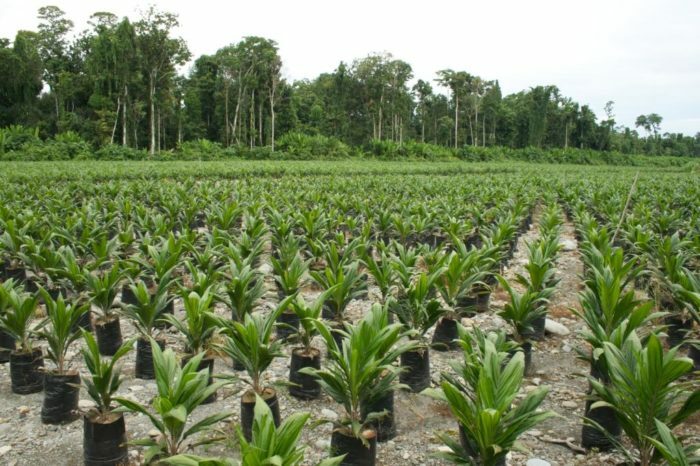 In comparison, the RSPO, a voluntary scheme, has certified 2.51 million hectares, representing 19 per cent of palm oil globally. EIA partners with a number of Indonesian organisations, including JPIK – the Indonesian Independent Forest Monitoring Network – and Kaoem Telapak. These are part of a strong civil society sector invested in the process of reforming the ISPO and, more widely, the sustainability of the palm oil industry in Indonesia. Position papers by this sector have highlighted that although ISPO certification issuance significantly increased in 2016-17 it has not resulted in significant changes nor solved environmental and social problems; civil society has also made clear how the Government’s moratorium on new licenses in forests has not sufficiently prevented deforestation as it is a non-legislative tool with no legal consequences if not implemented. In mid-2016, the Indonesian Government, through the Coordinating Ministry on Economic Affairs, began a process to strengthen the ISPO and produce a new Presidential regulation on the ISPO. It formed a strengthening team comprising a range of stakeholders including Government, businesses, oil palm growers and civil society, plus a multi-stakeholder team to incorporate input from public consultations and formulate the draft regulation. 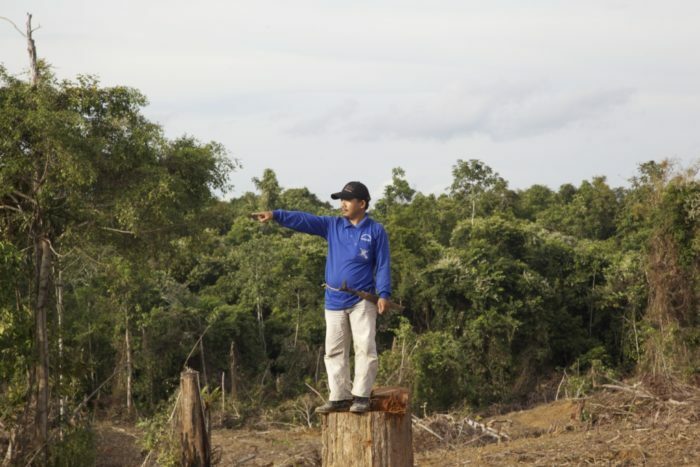 A position paper released civil society in March 2017 outlined a joint vision for the ISPO hoping for it to limit deforestation, protect forests and peatlands, ensure legality and guarantee the rights of communities. It also suggested improving the institutional governance of the ISPO and highlighted the need for the strengthening process to be participative, inclusive and transparent. Through regular meetings of the multi-stakeholder teams and regional public consultations, the key ISPO principles were agreed. This included two new principles on human rights and traceability. In addition, it was agreed independent monitoring would be conducted on certification implementation and certification was to be made mandatory for smallholders (family farms with fewer than 25 hectares of land) who represent more than 40 per cent of all palm oil plantations in Indonesia. A draft regulation was prepared by the public consultation team incorporating these inputs to be further discussed through a national public consultation. However, no national consultation has ever taken place and since September 2017 there has been deteriorating communication from the Government. This is despite the good will of civil society groups working to get positive change agreed among all stakeholders. In December 2017, it was revealed that the new agreed principle on human rights had been dropped; this is a major cause for concern as ISPO currently has the worst human rights safeguards of all palm oil certification schemes. Last week it emerged that a new draft has been formulated by the Government which seems to completely disregard the previous version prepared with multi-stakeholder input. The new draft eliminates both new principles on human rights and traceability; there is now no provision for independent monitoring nor a complaints system and it is no longer clear if all smallholders have to become ISPO certified. Additionally, the new draft does not give enough importance to the ‘protection’ principle for forests and peatlands, creating uncertainty that these areas will be protected at all. The palm oil industry in Indonesia has led to rampant deforestation – it is estimated palm oil has been responsible for more than 50 per cent of Indonesia’s forest loss. This is in sharp contrast to the Government’s ongoing moratorium on new licences in primary forests and peatland as well as an upcoming moratorium expected to halt the issuing of new palm oil permits. This draft is a worrying development and raises serious doubts about the Government’s commitment to sustainability and to participation in governance reform. It appears to have reneged on its promises to incorporate stakeholder input and to reform the ISPO in a participative manner. In comparison, the ongoing RSPO Principles and Criteria review is a much more transparent and inclusive process involving two public consultations, multiple regional workshops, pilot testing and clear timelines. It is all a far cry from stated intentions. In 2013, Indonesia’s then Deputy Trade Minister was calling for the EU to legislate on palm oil in the manner it had done for timber. The EU banned illegal timber but exempted timber certified to have complied with Indonesia’s national timber legality assurance system, the SVLK. 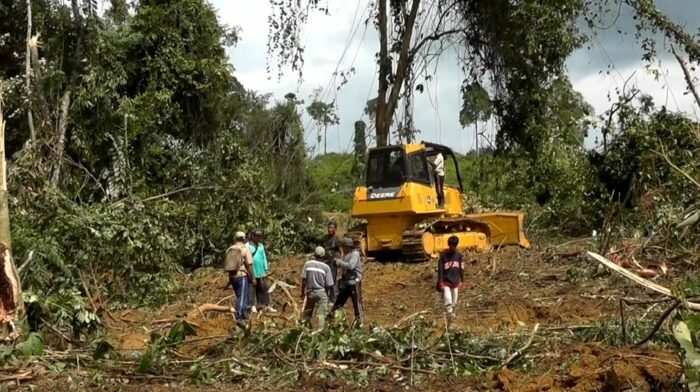 Yet while the SVLK went through an intensive consultation and piloting period in Indonesia, in which civil society was able to negotiate significant reforms – the similar promise to civil society of transparency and participation in the ISPO reform process has clearly failed to learn from the lessons in the timber sector. The Government of Indonesia has previously called on the United Nations Development Program to support the ISPO standard more and the European Union has requested ISPO standards be upgraded. However, the Government now seriously risks weakening the scheme rather than strengthening it, further undermining the ISPO’s credibility and the goal of gaining international recognition.